If you’re having a problem with debt, sit back and relax as there are ways to achieve debt relief. However, it pays to be careful because the Internet is home to many debt relief scams. If you were to get caught up in one of these, you could lose hundreds of dollars and end up in worse financial shape. What is a debt relief scam? The simple answer to this question is that a debt relief scam is where a company makes promises that it does not keep. However, these scams are much more complicated than this. They generally start when a debt relief company contacts you and claims it can get your interest rates reduced to help you get out of debt in no time at all. Some of these companies even say they can get your credit card debts eliminated. Many of them also claim to be nonprofits. The person who contacts you will probably sound very professional and very reassuring. The first sign that the company may be a debt relief scam artist is if it requires an upfront fee. Legitimate debt relief companies charge nothing until they’ve settled your debts and you’ve signed off on a payment plan. 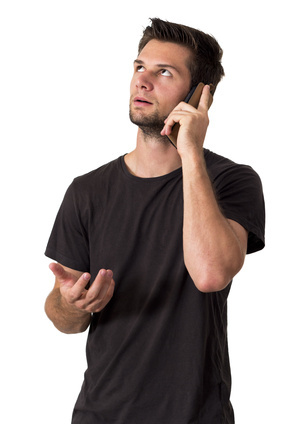 If you are contacted by a debt relief company, the first thing you should do is go to its website. Legitimate debt relief companies are members of the Better Business Bureau and probably the US Chamber of Commerce. They also usually belong to associations such as the American Fair Credit Council and display the BSI Certificate of Registration, showing that its services are in accordance with all the requirements of the Best Practices For Accredited AFCC Members Checklist. A legitimate debt relief company charges no upfront fees (as noted above) and won’t make promises that it can get you out of debt in just a few months. It will require you to provide documentation of exactly how much you owe and to which creditors. You will be required to provide copies of your statements showing how long it has been since you’ve made payments to your creditors.. You will be given a contract to review or even take to your attorney that will spell out exactly what the debt relief company will do for you and how much it charges for its services. Nothing more will happen until you sign and return the contract. Once you have signed off on your contract, you will begin making payments to the debt settlement company. If it’s legitimate, it will deposit the money in a trust account that only you can manage. The debt settlement company will then start contacting your creditors and offer to settle your debts, probably for about half of what you owe. When all your creditors have agreed to the settlements proposed by the debt relief company, the money you have put in trust will be used to pay them off. You will have an affordable payment plan that should enable you to become debt free in 24 to 48 months. Don’t fall for promises from debt relief companies that seem to be just “too good”. Call our toll-free number or fill in the form you’ll find on this page to learn what we could do for you. It will take only a few minutes and it could save months of worry and harassment.